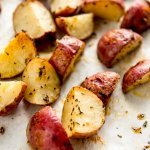 These 5 ingredient Italian Roasted Baby Potatoes are a great healthy side dish that can be made in the oven and are quick and easy to prepare! 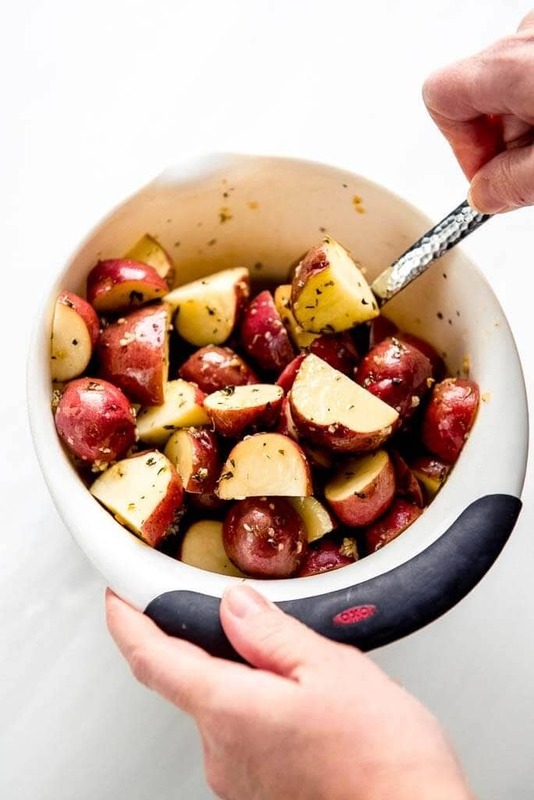 For this recipe I chose to use baby red potatoes. 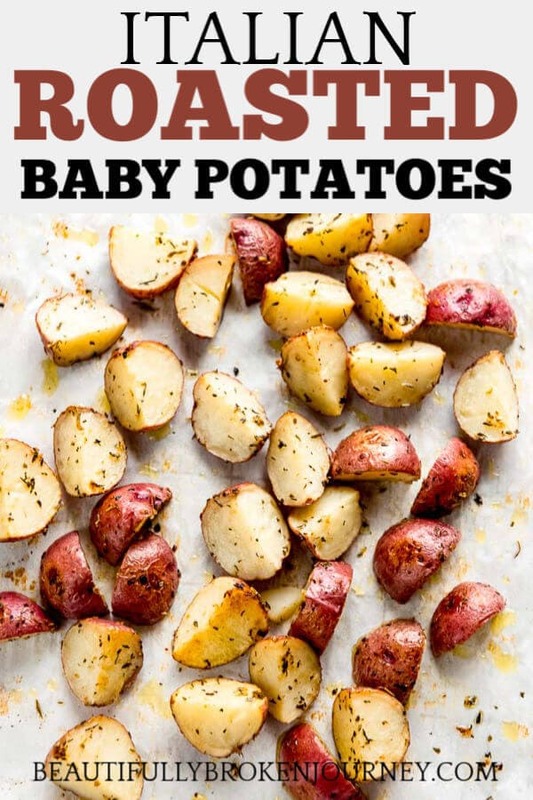 You can use other baby potatoes as well if you prefer. 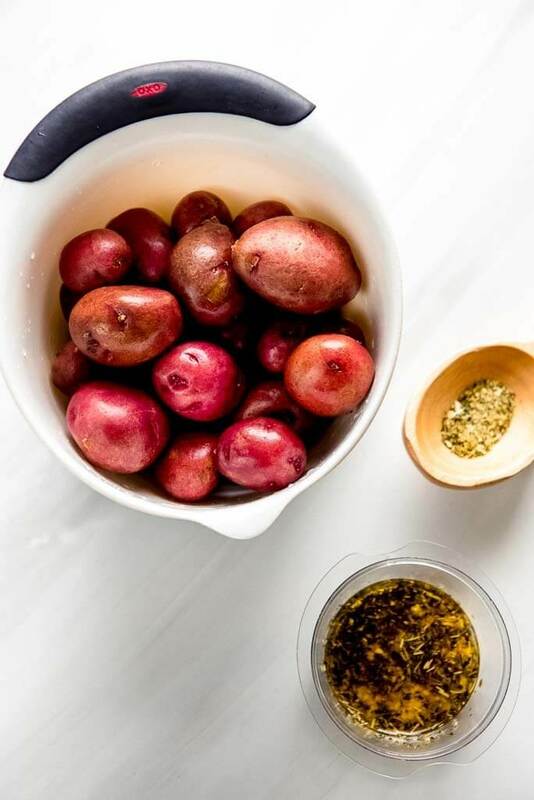 How do you prepare baby red potatoes? How long do I cook baby potatoes at 400 degrees? I like my baby potatoes to be tender so I baked mine at 400 degrees for 25 minutes. Some ovens may vary so you may need to cook them longer to get them to your desired texture and tenderness. If a fork can pierce the potato easily that signals a potato that is ready to me! 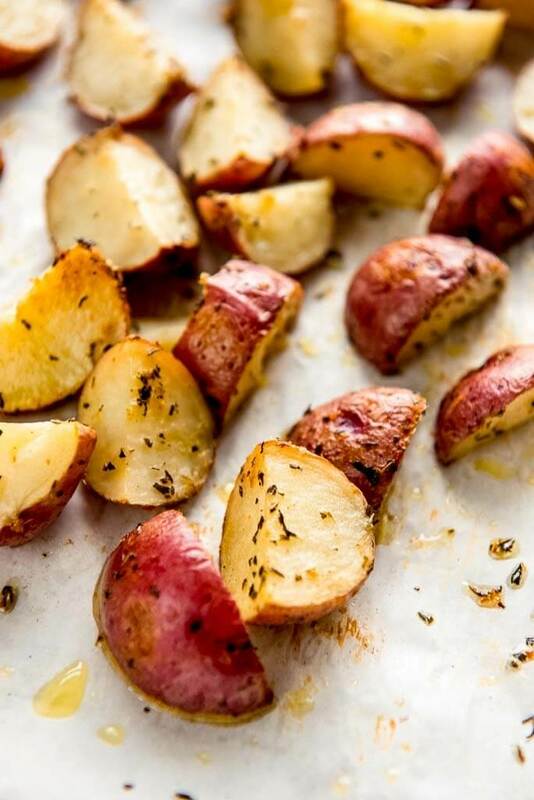 What seasonings can you use on baby potatoes? I chose a simple italian seasoning, garlic and salt for this recipe but there are lots of options for other spices to use if you are looking for a different flavor. After you combine the olive oil and italian seasoning, garlic, salt and mix over potatoes they are ready to bake! I like to use parchment paper on a baking sheet for easier clean up. 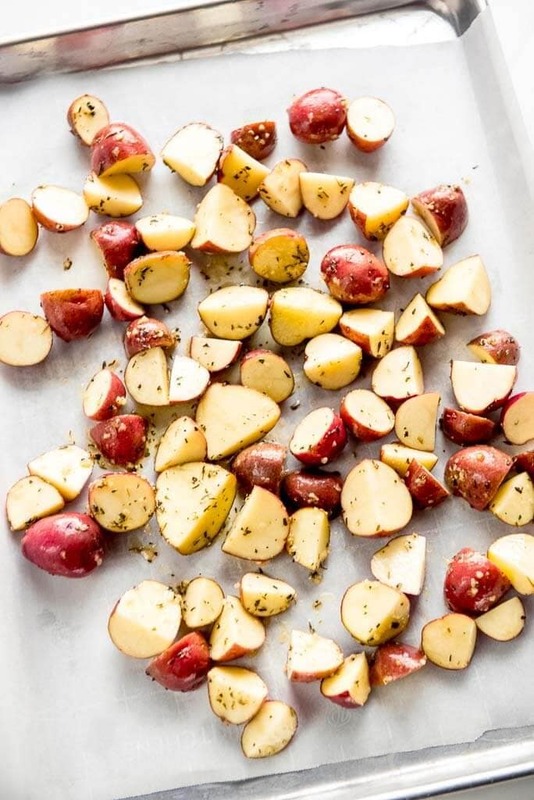 You take the parchment paper and line the baking sheet with it, then place potatoes in a single layer on the baking sheet. I cooked these Italian Roasted Baby Potatoes for 25 minutes at 400 degrees. I’ve listed below my favorite vegetable recipes on my blog! If you want a hearty vegetable soup check out my One Pot Vegetable Beef Soup! Wash potatoes and then quarter them and place in a mixing bowl. Mix remaining ingredients and then pour over potatoes and mix well. 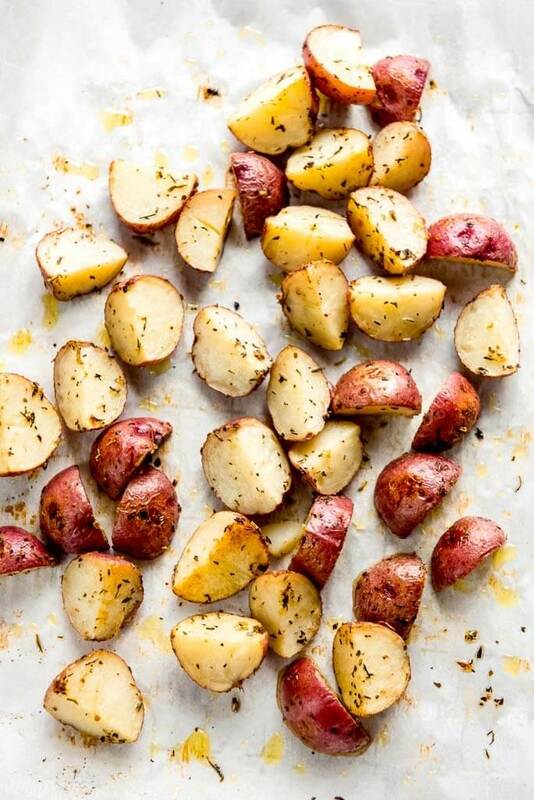 Line a baking sheet with parchment paper and place potatoes in a single layer on baking sheet. Bake for 25 minutes or until cooked to your preference.